Making physical site models was the bane of my architecture school existence. The photocopying, the tracing, the hundreds of dollars spent on wasted reams of chipboard -- I can smell the spray mount just thinking about it. Ugh. I recently came upon Slicer3, a Ruby plugin for SketchUp by TIG that's so useful and so easy to grasp that I couldn't wait to write about it. 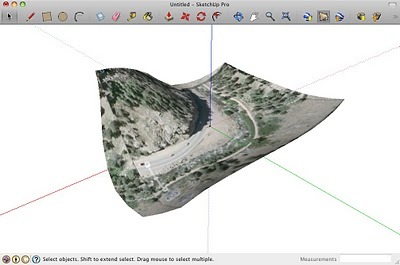 What it does is simple: Given a piece of geometry, Slicer3 slices it up. You tell it what spacing to use, how thick the slices should be and which direction to cut, and it does the rest. For turning a piece of digital terrain into a physical model, it's a godsend. To install it, just drop it in your Plugins folder. This SketchUcation thread provides some nice discussion and examples. This Pushpull Bar post is also very informative. For this script to work, the thing you want to slice has to be solid (watertight) and either a group or a component. 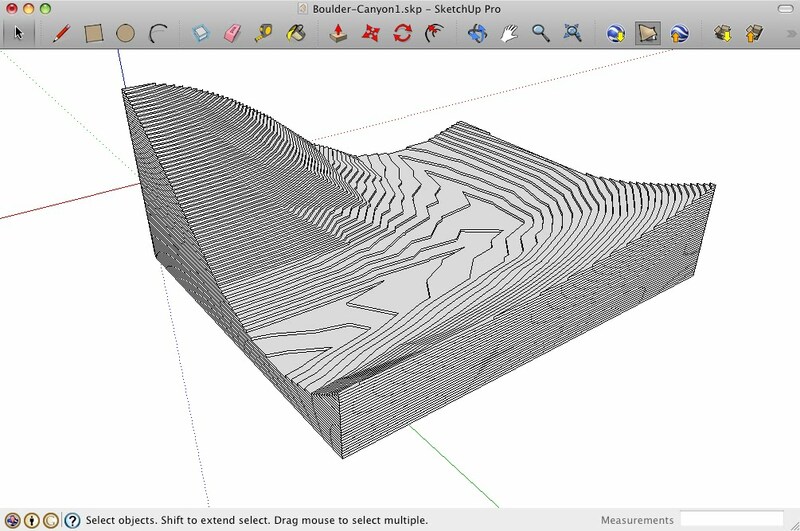 Slicer3 doesn't automatically scale your model for you; you'll have to do that part yourself. And if that isn't enough, Slicer3 will also (if you wish) lay out each slice on the ground, separating them by an amount that you specify. It can even number the slices for you. Can you say "laser cutter"? Tell Slicer3 to lay out copies of each slice on the ground -- and number them automatically. Start by framing a view in Google Earth. 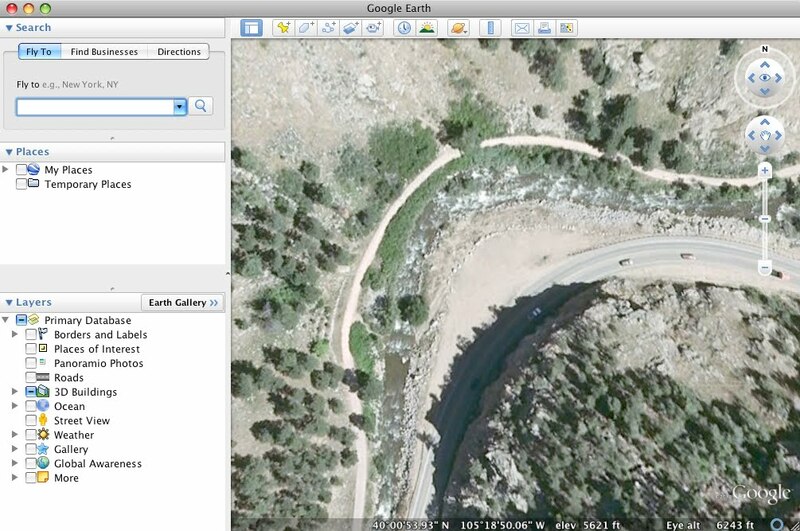 This is a section of Boulder Canyon, a few miles West of the SketchUp office. Import a terrain snapshot into SketchUp and color it (because it's prettier in color). 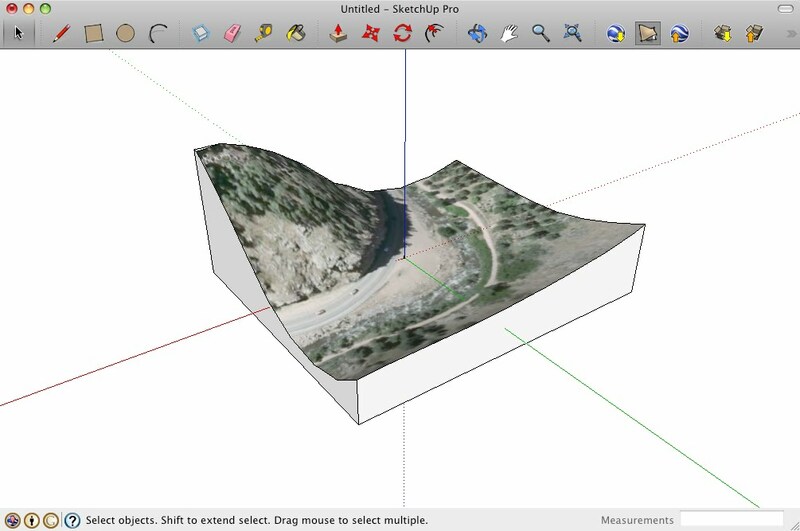 Make a giant 3D "crop box" that encloses the terrain you want to keep. 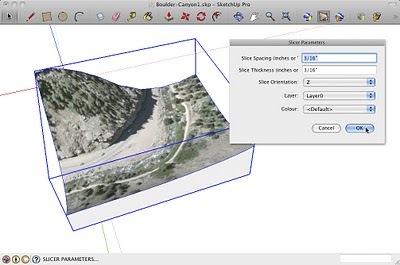 Use Intersect with Model to merge the box and terrain surface into a single, solid object. Then group it. Scale the terrain object. I scaled by a factor of 0.005 to achieve 1:200 scale. 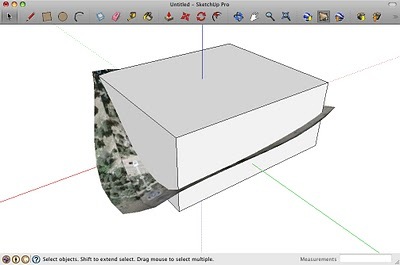 Use Slicer3 (this is the fun part). The resulting stack of slices. Cut, stack, glue and enjoy. 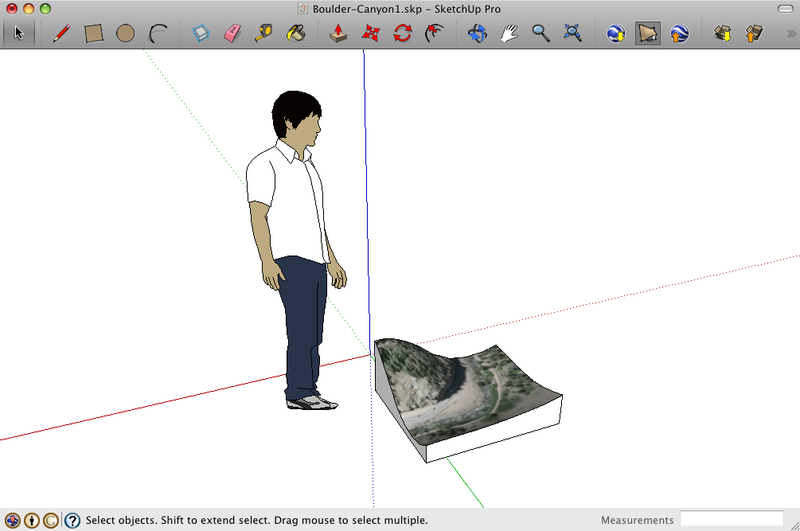 On behalf of the entire SketchUp community, thanks for this script, TIG. A thousand architecture students will get another hour of sleep because of you.